If you want to scroll straight down to the “five tools” below that’s cool. But I recommend you read this funky little intro first. In today’s industry – you’re expected to do everything yourself. Long gone are the days where A&Rs find you in smoky bars – and dictate your entire persona and image. Not only are A&Rs and labels no longer necessary -but labels today often expect you to already have a following, a brand and a style before you even get a reply to your email or a meeting on the books. This is because every single tool to “make it” – is already available to you. So, a label or partnership is just icing on the cake (and/or a bank loan, really). For instance – before handy distribution tools like TuneCore, you had to have a business or label deal to distribute your music. (Or you had to just..pass it out). Similarly – you used to have to go to a studio or professional for recording and production services, now it’s just a software download, and if not – there’s a studio around every block. If you wanted to market your work 20 years ago – you needed street teams, radio teams, and to perform across the country. Today – you can do this all via social media. And with streaming – you can have loyal fans across the globe. So – marketing, recording, distribution have all become very “do it yourself”. Let’s not forget a few others: touring, licensing, rights management – the list goes on and on. All very DIY and something you can do 100% on your own. However – I find that one large aspect of music marketing still hasn’t been very DIY friendly: PR and Writer Relations. Now, don’t get me wrong – DIY PR in the music industry exists … but there’s a few roadblocks artists encounter. The Main Roadblocks in “DIY PR”. Many artists and their teams make a valiant effort in taking their PR in-house. Some are blessed with pre-existing connections that makes PR fairly easy. However most still struggle with DIY PR – while these bullet points could be their own article – here’s a quick summary of DIY PR roadblocks. This is the number one issue for all artists (and small businesses, too.) Professional PR folks have access to large media databases that are often expensive ($500+ a month) and aside from price – another problem is that these databases don’t always include influential bloggers or social influencers that can assist artists, either. The Trap of Mass Emails. There exists a lot of pay-for-post services as well as ” services” which blast out your music to tens of thousands of blogs – hoping some will stick. Or – internally, an artist may just BCC 1,000 writers with the same pitch. This isn’t a good way to promote your music. Pay-for-post writers dilute music journalism, and also – it’s usually a lazy copy/paste of your bio, rather than an actual interview and story of your career. Of course, you need a platform to send bulk emails out – but it needs to be done in a way that’s personal and builds a relationship. Not under the table deals, or a copy/paste email blast. Note: Many artists fall into the misconception of using a newsletter service (ie. MailChimp) for pitching press. While newsletters are key – those programs shouldn’t be used for pitching press and should only be used for newsletters. They often go in the “social” folder which is pretty hidden, or.. the spam. Use them for newsletters, not pitching. A proper campaign isn’t just one pitch to a reporter. Generally it’s two pre-pitches, a day-of pitch and one or two “trying you again” pitches. Many artists don’t have the time (or patience) to do this. Professional tools have scheduling software, and the ability to segment lists. This is often not a possibility (or an oversight) by many artists. Alright so – how do we fix this? Have no fear, because there’s a plethora of tools that assist you in taking control of your PR in a professional and efficient way. Here’s my usual disclaimer – I am giving you a system in which you can operate. You’ll need a good product, and a good pitch. (Some tools will help with the pitch part, too). However, if the product and pitch are great – then these tools will be a good fit. Used for: Creating a press database, and pitch assistance. PitchZen is a fairly new tool – with a mission to create customized press lists and pitches for artists, entrepreneurs and DIY-ers who want to take control of their PR. I also know publicists who use PitchZen to keep their databases up to date. PitchZen is also run by humans – not algorithms, so they put effort and careful thought into customizing a unique list of writers, bloggers and influencers for your work. 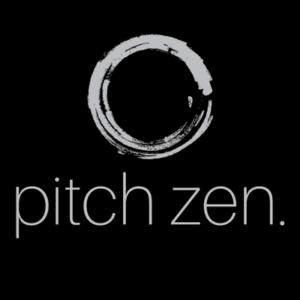 Using PitchZen is very simple. Step Two: You fill out a form letting them know your project and target outlets. Step Three: You’ll then get an email within 24hrs with a mini-plan and estimate – if all looks good, they deliver a list of writers, bloggers and influencers for your campaign, as well as a series of custom pitch templates for your use. It’s really a one-stop shop to build a database and get a leg up on pitching as well. I really cannot recommend them enough, as it’s very difficult to come across customized lists, as well as well-written pitches. They really get into detail, too. For instance if you want a list of writers who’ve covered a certain event or covered artists who sound like you – or just a list of writers that cover a certain genre or from a certain publication – they have you covered. And again – their pitches are great, too. Used for: Mass emails and tracking. This one takes a bit of customizing – but it works great for artists. 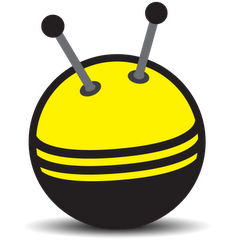 BuzzStream is a web-tool and interface that makes it very easy to send bulk pitches out at once. While they do have a discovery tool – I find it a bit wonky, and more fitting for finding Twitter influencers than blogger/writer emails. So, what I do is I build my databases through PitchZen and upload the contacts that way. Once you upload your contacts – you can write various pitches, and send them out efficiently. The interface is what really makes this process great. While you can just click send/schedule to your entire database – you also have the opportunity to customize each pitch slightly before it goes out. This is a huge time saver. You’re also able to schedule emails in advance, another huge plus. Also good to note – this is managed by your actual email account. You connect it to your Gmail, etc.. This is important, since it’s going through your personal email account, it’s not going to end up in the “social” folder or the “spam” folder. Another thing that’s great about BuzzStream is their tracking capability. You can see who opened your email, as well as get notifications when they reply. You also get notified when it’s time to send a follow-up and to who. This is great for A/B testing pitch angles and more. Though – their main use for artists is sending out emails quickly and efficiently. This is kind of an honorable mention. BuzzStream can already handle a lot of what Boomerang offers. However, Boomerang is a fun and free plug-in that allows you to schedule emails in advance, and it automatically sends a follow-up if there’s no reply. It’s not as intricate as Buzzstream, but I’ve used it if I wanted to quickly send out a handful of personal emails that may not warrant firing up Buzzstream. For instance, let’s say I’m pitching a Spotify playlist curator. First, I go and enable Gmail’s canned response function in Gmail’s settings. This is a little known native function that allows you to save email “templates”. Second – I build a “template” that introduces myself, my artist and also leaving blank spaces for me to fill out later. ie. Third – I go and tweak the templates per curator to fill in those blank spaces- and schedule via Boomerang. It’s a really efficient way to schedule a small number of brief emails. 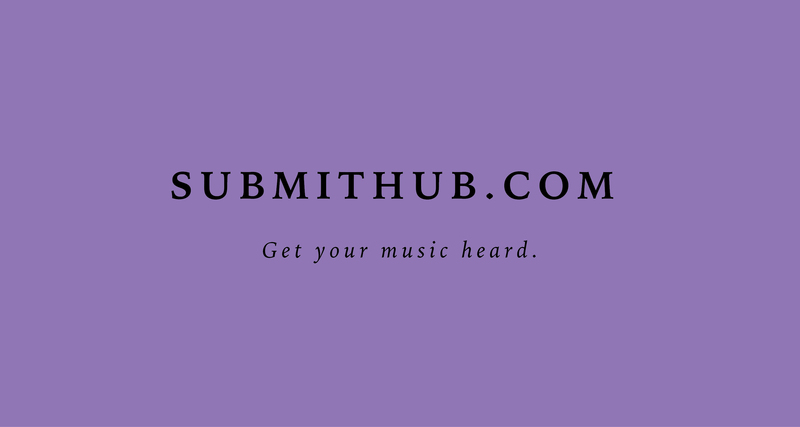 Submithub is a rather new tool that allows artist to submit to music blogs and playlists. You do have to pay (but it’s a couple cents per submission)- however, the great part is if a writer doesn’t accept or decline your submission – you get your money back in credits. So you can keep submitting until you get a bite. While it’s not a perfect tool – a lot of these are lower to mid tier blogs – some of these quick-wins can really help with SEO. And there are some blogs with solid social following as well as some stocked Soundcloud Playlists. Another positive note on Submithub is I find that many blogs are actually interested in interviews and genuine write-ups – rather than just copy/pasting your link. I’ve done a few campaigns through Submithub, and I’ve made some pretty great connections – I also found that my artist’s SEO ranking increases when they get a few pickups, even if the outlets aren’t giant. Since Submithub is fairly new – they’re continuing to grow their blog directly every day. 5. Honorable Mention: LinkedIn Premium. Throwing this one out there – just because I’ve had great success networking on LinkedIn. I pay the $30 bucks a month, but I’m able to connect with other managers, playlist curators – and as a last means of pitching – writers. LinkedIn’s premium feature allows you to message users without adding them as a friend first. Which is a great tool! Pitching writers should be a last resort on LinkedIn – and it should be used with finesse. Maybe a few days after your initial pitch, or if you can’t track down their email. The goal is to still be professional rather than pushy. But even if you aren’t using LinkedIn for connecting with writers – it’s great for networking with music supervisors, playlist curators, managers, labels and more. So! There you have it! The roadblock of lack of database can be resolved via PitchZen, mass scheduling can be resolved through BuzzStream and Boomerang – and tools like Submithub and LinkedIn have their ways of helping out, too. It’s certainly possible, and viable to become your own publicist in today’s digital age.